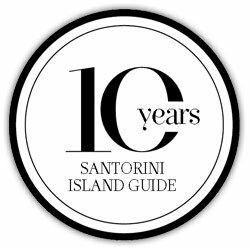 Any kind of information you need to enjoy your stay in Santorini. Every day there are ferries connecting Santorini with Piraeus. Itineraries become even more frequent during summer months. 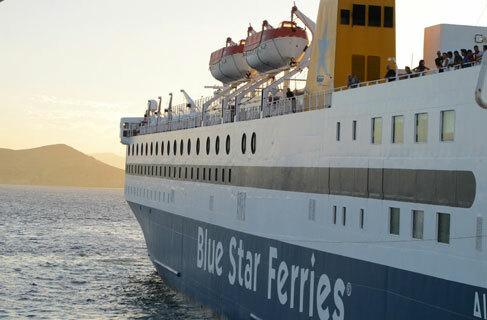 On the conventional ships the voyage takes 8 hours, while using the fast new generation ships it takes 8 hours (Blue Star Ferries, T. +30 2108919800, Hellenic Seaways, T. +30 2104199000). There are also high speed boats which take 5 hours (Hellenic Seaways High Speed, T. +30 2104199000, Sea Jet, Τ. +30 2104121001). If you travel to Santorini during summer months and particularly in August, you’d better get your tickets quite a long time in advance. There are daily flights from Athens to Santorini with Olympic Air, Aegean Airlines and Ryanair. The flight lasts 35 minutes (Olympic Air, T. +30 2103550500, 8018010101, Aegean Airlines, T. +30 2106261000, 8011120000, T. +30 2286028500, Ryanair T. +44 8712460003)­­. There are flights from Thessaloniki to Santorini with Aegean Airlines. The flight lasts 1 to 1,5 hours, according to the type of airplane. Santorini Airport, Τ. +30 2286028400, Swiss Port, Τ. +30 2286027431, Gold Air, Τ. +30 2286030766. By sea with Amorgos, Anafi, Iraklion of Creta, Ios, Karpathos, Kimolos, Kithnos, Milos, Mykonos, Naxos, Paros, Serifos, Sikinos, Sifnos, Skopelos, Syros, Tinos, Folegandros. 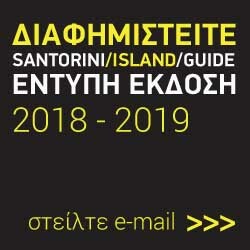 Port Authority of Santorini, T. +30 2286022239. 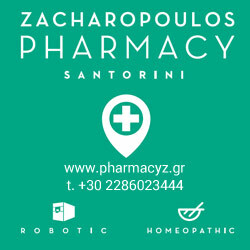 Port Authority of Piraeus, T. +30 2104226000. For more information visit www.santorini-islandguide.com. 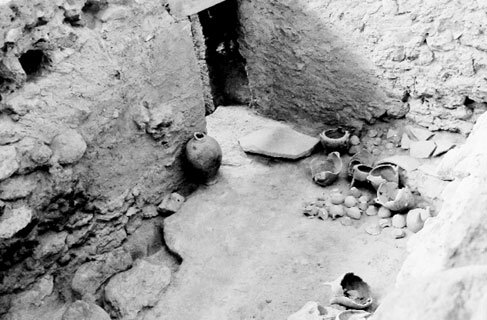 Fira, tel. +30 22860 22555. The taxi stand is in Fira, at Theotokopoulos Square. Although the fare for each itinerary is determined by an official price list, it is advisable to establish it before you get into the taxi. Τel. +30 22860 25404. The central bus station is at the Square of Fira. 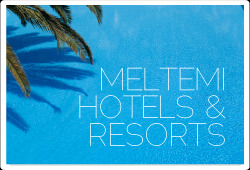 You can find itineraries and time schedules in www.ktel-santorini.gr. The cable car runs the itinerary from the bay of Fira to Fira and costs 5€ for adults and 2,5€ for children from 6 to 12 years old. 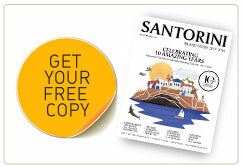 •Tap water in Santorini is not potable. Make sure you always have bottles of water with you and in your room. •Drive carefully. Roads in Santorini -especially during summer months- are highly busy. Special caution to ATVs (all terrain-vehicles) that overflow the island roads. •When visiting Fira, Oia and sights, prefer to park in the designated parking areas. •Santorini has high humidity. When going out at night, it would be wise to take something warm with you. •Comfortable closed shoes are essential for those hiking along the trails of the island. •Fira is overcrowded –particularly upon the arrival of cruisers. The same goes for Oia at sunset time. •Book your air and sea tickets early enough, so as to find available seats and get the cheapest prices. Santorini Arts Factory: Highly interesting activities are organized for children in Santorini Arts Factory in Vlyhada throughout the year. Learn the program on www.santoriniartsfactory.gr or contact 22860 85141.